 Survox Phone - Survox Inc.
A flexible research call center platform for operations of any scale. Survox Phone call center automation technology (CATI) gives you a fully optimized phone survey automation platform to scale quickly. Whether you need to add stations or work with partners, you can keep complete control over all your projects. Survox CATI software gives you unlimited power. At Venture Data, we are very pleased with the Survox Interviewing System. The system is very robust and provides the functionality to do any type of telephone interviewing our clients ask for regularly. I don’t think any research software vendor has developed a better product.